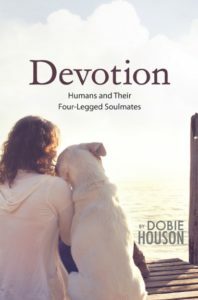 Devotion celebrates the magical connection between humans and their four-legged soulmates. Written by an animal communicator, this beautiful and heartwarming collection of short stories honors the love, courage, and unbreakable bonds these amazing teams share as they navigate life. Anyone who has ever looked into the eyes of their beloved animal companion and wondered what they were thinking will fall in love with this book. Dobie is a passionate animal lover and donates a portion of all proceeds to animal rescues and sanctuaries.